Beth welcomed everyone and introduced the day’s speaker: Jim Clark, CEO of Daniel, who came to speak to us about working with a consultant to strengthen your nonprofit. We also heard from Chris Folds of the Nonprofit Center of Northeast Florida who was our member spotlight speaker for March. 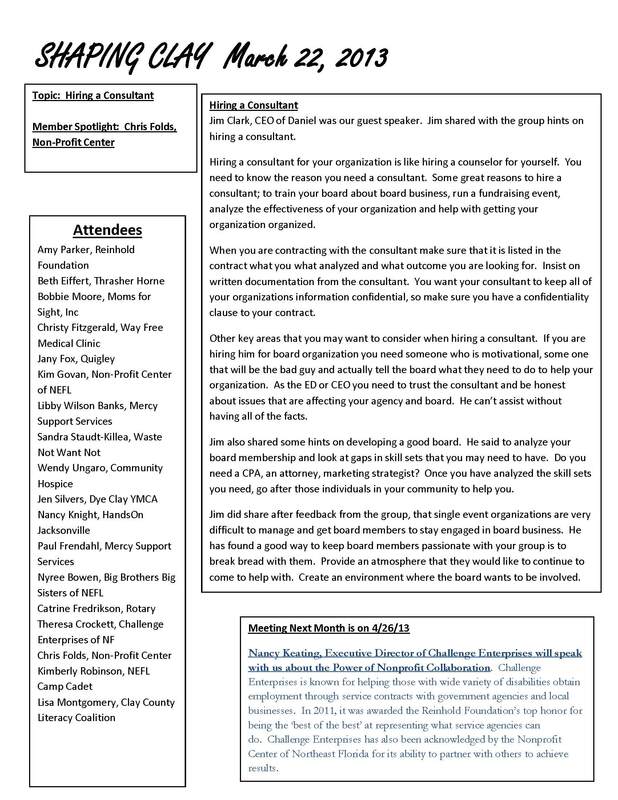 To view, download, or print the March Meeting Notes click here.